His Majesty The King visited the homes and met with the people of Sirigang, in Kabjisa, Punakha, who were affected by a windstorm last week. 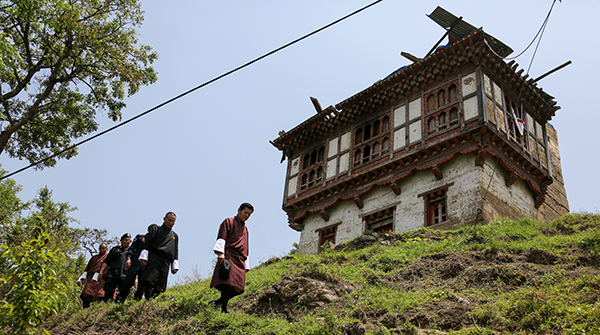 The windstorm on April 16 damaged more than 300 houses in Punakha. The government’s immediate relief efforts were supported by the Dzongkhag, armed forces, and DeSuups. The affected households, most of whom have already received insurance claims, are at the moment engaged in rebuilding damaged structures. His Majesty also visited Punakha Central School, and Dechentsemo Central School in Thinleygang, and met with the students. 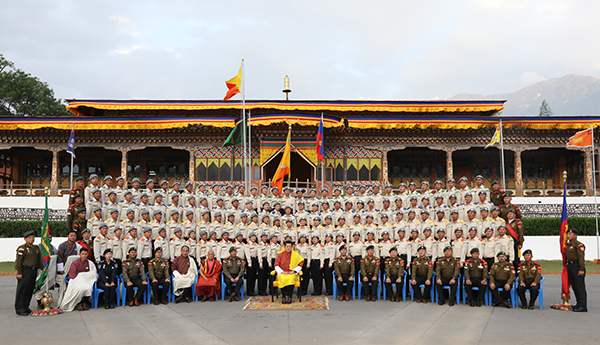 His Majesty granted an Audience to the participants of the 24th DeSuung Training Programme at Tencholing, Wangdue Phodrang on April 25. The 120 men and women volunteers began their 5-week training from March 27. The training will complete on April 29, bringing the total number of DeSuups in the country to 2886 who have undergone the training since 2011. Since then, DeSuups have made important contributions during times of disasters or national events.